Welcome to this week's edition of Furuba Fridays, our continuing and jaunty trek through JesuOtaku's brilliant Fruits Basket Radio Drama. This week, it's all about Yuki - well, mostly at any rate. Back in my analysis of Episode 2, I spoke about JO's sterling work when it comes to adaptive scripting. But whereas that episode involved her adding dialogue to convey what was simply said by panels, this episode has a number of instances where extra little scenes or snippets are added which are not in the original manga. 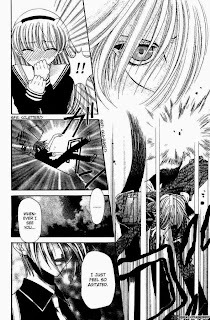 Purists may react harshly to this, but they needn't be worried: none of the changes detract from or damage the original source, and if you hadn't read the manga (like me) you wouldn't notice any kind of join where the manga ends and JO begins. The first examples of this come at the very beginning of the episode, where Tohru's teacher Mayuko Shiraki sets the scene for the main characters coming together to play cards. She's often on hand to provide humour as the series goes on, and serves as a nice obstable for Kyo, whom she often refers to as "Carrot Top" on account of his hair. 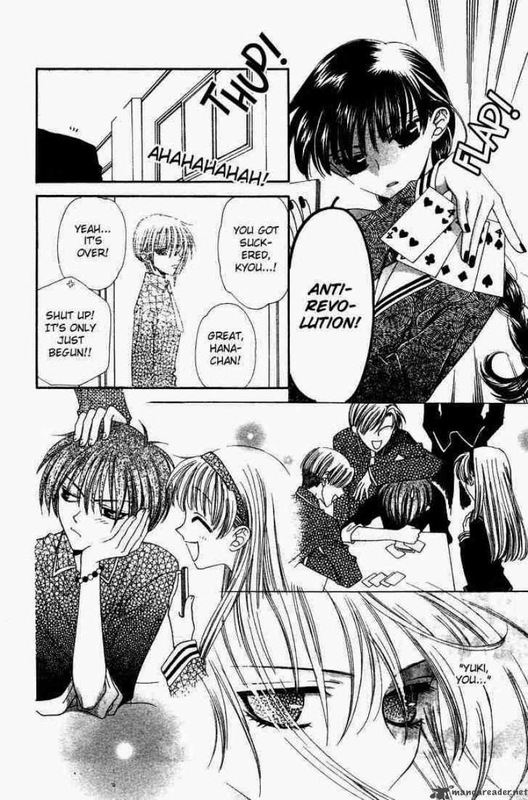 Likewise, Tohru's friend Arisa Uotani (Uo for short) is given a few extra lines after the card game to flesh out her relationship with Yuki and Kyo. We'll talk about Uo and Hana more when Episode 7 comes around, but for now these little additions help to make them feel like characters in their own right, rather than friends of the lead. 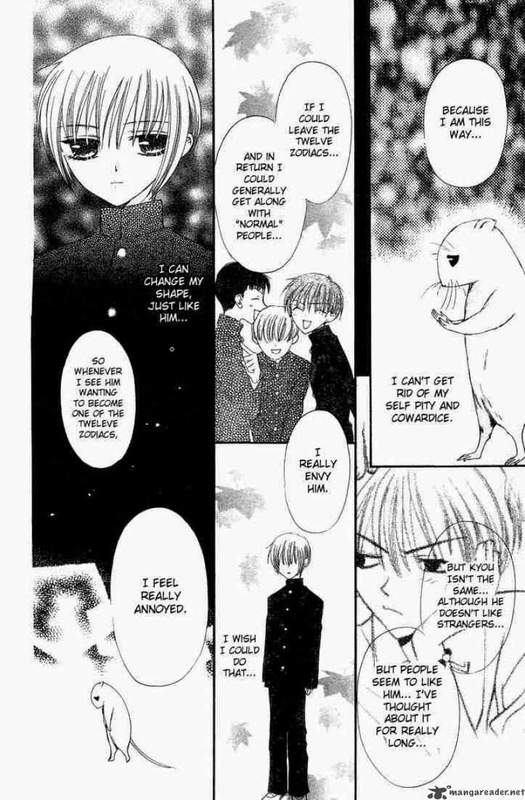 There are other little additions here and there which will carry greater significance as we go on - such as Shigure's comment of "interesting" when Tohru goes out to help Yuki with his garden. This brings us very nicely onto foreshadowing. Having set up the basic dynamics of the main characters in the last few episodes, JO now begins to work in little bits and pieces of foreshadowing as their relationships begin to build. While most of this foreshadowing looks forward a couple of episodes or so, in this episode we get a mention of Kazuma, a character you may remember from the audition call back in July. Like Akito, he won't turn up properly for quite a number of episodes, but he does have a significant, positive role in the story, so keep an ear out for more. So much of Fruits Basket is about redemption and reconciliation. In order for those themes and character developments to be believable, they have to happen gradually and each small step needs its own sense of emotional weight. As a result we get a number of episodes like this, which are slower and a little more talky, so that we can get a deeper insight into the likes of Yuki. This episode devotes a lot of time to his feelings of inadequacy and insecurity, with Evan Bremer getting a lot of air-time (or whatever the radio equivalent of screen-time is) and working his way deftly through a long passage which he later called "the monologue of doom". While this episode isn't one of my favourites, there's still something really heartwarming about its message and the manner in which it is executed. 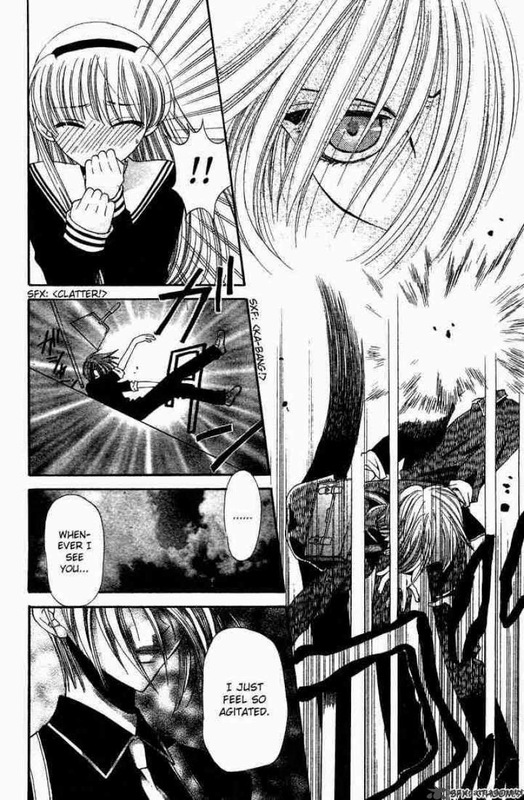 It's very easy to handle this kind of positive, life-affirming material in a way which is overly saccharine or melodramatic, but JO just lets the lines speak for themselves and never pushes Tohru's happiness down our throats. Throughout the drama there's a great balance between humour and poignancy, with this episode beginning with the comedy of the card game (more of that in Episode 7) and ending with something a little more still. The first time I heard this episode, I was waiting for the RAC having suffered a puncture, and the latter part of this instalment went some way in calming me down. Here, then, is Episode 4 for you to enjoy. Next week I'll be posting up an interview with two of the Furuba cast members. Don't forget to download Episode 3 below and see you next week for another Furuba Friday!